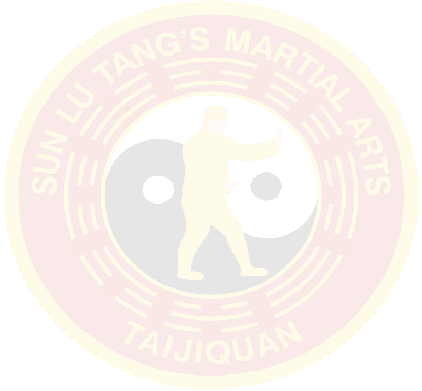 Sun started his study of martal arts at about the age of ten, progressing to Xing Yi Chuan, and Bagua Zhang. He studied with some of the great martial artists of his time, learned their arts, and was widely respected as a fighter and teacher. He did not teach students to fight directly, but taught them the martial arts as a philosophy, health and martial practice. He considered his greatest achievement in the martial arts was the development of the 97 Step Sun Tai Chi Form. This combined the stepping method of Bagua Zhang, the waist and leg methods of Xing Yi Quan, and the body softness of Tai Chi Chuan. This form has been recognised as one of the five major Tai Chi Chuan Forms alongside Chen, Hao, Wu and Yang. She was taught the full range of Sun Family arts of Tai Chi Chuan, Xing Yi Chuan, and Bagua Zhang, including the Jian, or straight sword. The work of her father was carried on faithfully in her teaching. Sun Jian Yun received many accolades for her martial art teaching and experience. During her life, she was described as "One of the ten great living treasures" of the martial art world in China. In her teaching she was able to drawn on and recount many experiences gained during her travels and training with her father, and also use those told to her by her father.